Hashtags have been around for a while. At first it was just a neat way to call out a particular sentiment or be associated with a trending story on Twitter; they’ve now made it into our vernacular and expanded to other platforms including Instagram and Google+. With this evolution, brands are now leveraging the once lowly hashtag as a strategic tool to unify campaigns and connect with customers. Companies like Volvo have taken steps to use specific branded hashtags like #SwedeSpeak and #MyFirstVolvo to interact with specific consumers about particular topics. By doing so and educating their audience about how to use them and what to expect, they have been successful in transforming these conversations into engagement tools for existing consumers while driving awareness of that usually positive relationship to those consumers’ networks. Limit the number of hashtags you use and keep it simple. 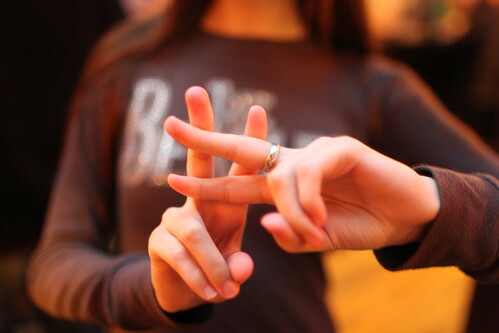 Too many hashtags make it difficult to track and are confusing to consumers. Make them mean something. Figure out what you are going to focus on and then consistently leverage those across numerous campaigns. Avoid open-ended questions. By not limiting the response to a specific type, not only are you losing relevancy, but you are opening a can of worms for a hashtag hijacking. Be realistic. Make sure you have permission from your consumers to claim that hashtag. Blackberry’s #BeBold campaign, complete with super heroes, was a #Fail that opened it up to ridicule that quickly expanded into a chance to mock their slip into irrelevance. Get organized. Use dashboards structured by hashtag or more easily monitor and manage your campaigns. Innovators, such as American Express, have pushed the envelope even further. Through the newest phase in their partnership with Twitter AMEX has created hashtag-enabled commerce, allowing joint AMEX-Twitter members who connect their accounts the ability to pay for a new Kindle Fire just by sending #BuyKindleFireHD. Other companies are also creating new ways to leverage this supercharged special character. The mobile marketing platform smartsy, for example, is using their engagement marketing features and visual recognition functionality to help transform products and campaign assets into #objects, which act as focal points for easily creating and distributing user generated content within the platform as well as across channels, including social media. As you can see hashtags have come a long way since Jack Dorsey launched Twitter six years ago. I’m excited to see what the next six years will bring. #Predictions, anyone?